Betsoft is a leading name within the online casino software industry, and has been providing players with a wide range of casino games for almost two decades. We recommend a number of Betsoft powered online casinos and online casino games that guarantee quality. One of the main aspects that makes Betsoft stand out from the rest is their dedication to developing 3D slot games known as Slots3. 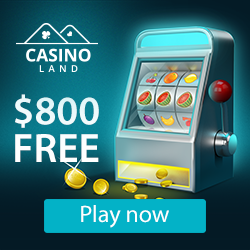 They are leaders in this field and have a huge selection of 3D slots available on various platforms. Betsoft has been around since 1999, making them one of the early software developers in the online industry. It wasn’t until several years later, when they established their line of 3D slots games, that they made their mark and became better known. International recognition was established when Betsoft became a finalist in the category of Best Online Product at the ICE Totally Gaming Awards in 2012. Their 3D slot fame led to the development of 3D poker known as Poker3, which has become a popular way to enjoy the virtual world of poker. Betsoft has a variety of online casino games but their Slots3 collection is by far the most famous of the lot. The 3D slot games showcase imaginative graphics and animations with an immersive visual 3D perspective. The themes are diverse and wholly immersive with regards to bonus games and special features too. The Slots3 collection takes up most of their slots portfolio but there are a variety of the more traditional types of slot games too. Some well-known Betsoft online slot titles include Heist, Slots Angels, Mr Vegas, Event Horizon, Mama Mia, The Slotfather and A Night in Paris amongst others. Betsoft’s portfolio of online casino games also includes a collection of video poker variants, poker and some of the most popular table games such as American and European roulette, Three Card Rummy, Baccarat, Craps, Blackjack, Red Dog and more. Speciality games like various lottery games, keno and scratch cards can also be found in Betsoft’s portfolio of casino games. New and unique Betsoft casino games, especially those falling under the 3D slot games category, continue to be released on a regular basis with new online casino game titles being launched quite often. Betsoft’s casino game software is compatible with the no download platform, which means all of their online casino games offer instant access through a web browser, and there is no need to have to download anything in order to play. The software is however downloadable too for those who prefer the option. Betsoft has also advanced into the world of mobile casino games and optimised their collection of online casino games for the mobile market. All of their casino games that have been optimised or developed for mobile are compatible with the leading mobile operating systems such as Android, Windows and iOS and can be played on smartphone or tablet using downloadable or non-downloadable platforms.